prayers offered and thanksgivings said. 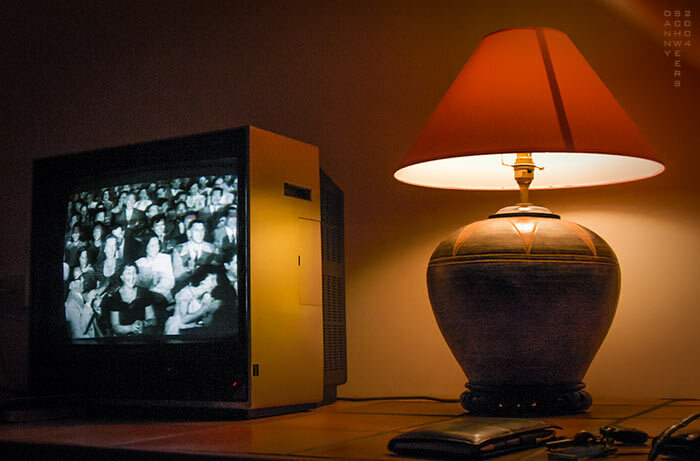 Photo of lamp and television in Devonshire, England, 2004. Thank you so much for sharing your picture and the very nice prayer! And thanks for a wonderful Workshop on Saturday. I'll try to put some of your "rules" into practice with the next pictures I take and get them to look great!!! I read somewhere that someone [Marcus Tillius Cicero] wrote: "If one has a library and a garden, one has enough.” So I have one of each and count myself a most blessed woman.